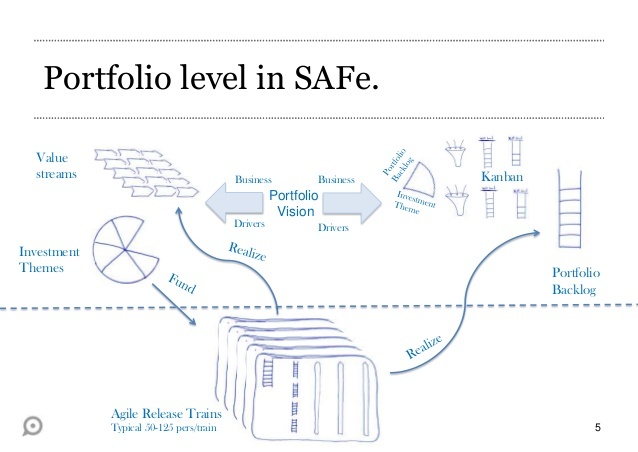 Think of SAFe as an agile and lean methodology for large and complex portfolio, programs. SAFe has two different levels of implementations, one is SAFe 4.0 and the other is SAFe 3.0. 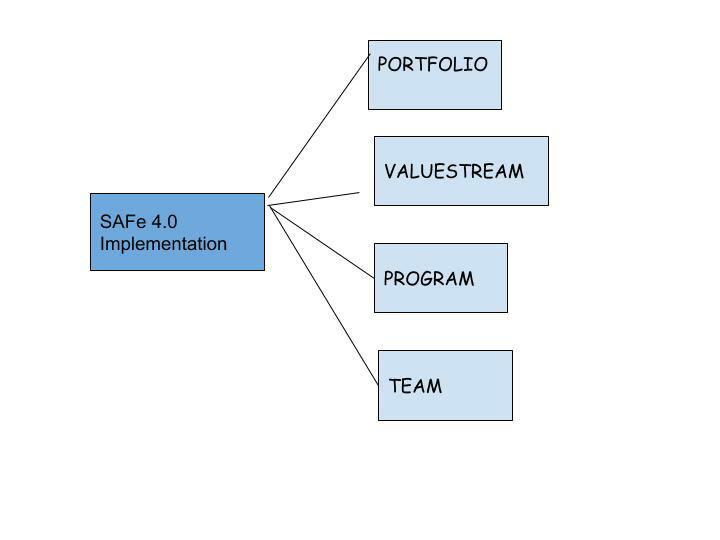 SAFe 4.0 has Portfolio, Value Stream, Project, and Team levels. And this is for larger teams that require hundreds of people to develop and deploy products and solutions. SAFe 3.0 has Portfolio, Program and Team levels. And this is for relatively smaller teams of 100 or less and requires less collaboration. Let’s look at each level in detail for deeper understanding and it’s easier when we discuss from the bottom – top. At the TEAM level, it is pretty much the same as an Agile Scrum Framework. You would have a Product Owner, Scrum Master and the team working towards a sprint goal and in iterations of two weeks each. And you would have the agile ceremonies like Daily Scrum, Sprint Planning, Retrospection, Demo etc. If you like to read further on this framework, refer here. The iteration starts with planning meeting which discusses the user stories that they can deliver by the end of the iteration/sprint and after each iteration, they demo and get together for retrospection to improve for the upcoming sprints, in the guidance of the scrum master. SAFe looks at aligning with the strategic and business value of the organization. If you are a Portfolio/Program/Project Manager in the waterfall model, that have worked on business plan, project charter and under a PMO that has governance process across Portfolio/Program and Project Management, tying these areas together so it aligns with the overarching business strategic initiatives, you can easily connect SAFe Agile in a similar fashion(and we have already learned that this is for large, complex initiatives). A Larger team of multiple scrum teams work together to deliver a larger system. This team of teams is called ART(Agile Release Train). Each PI is 5 weeks long by default. Each PI starts with planning- vision, and roadmap of the train features for the next PI. The team commits to the PI providing visibility to the business on the objectives of the PI. The Product Owner, Program Manager, RTE and the ART teams work towards the objectives they can achieve and identify risks, dependencies on the train. 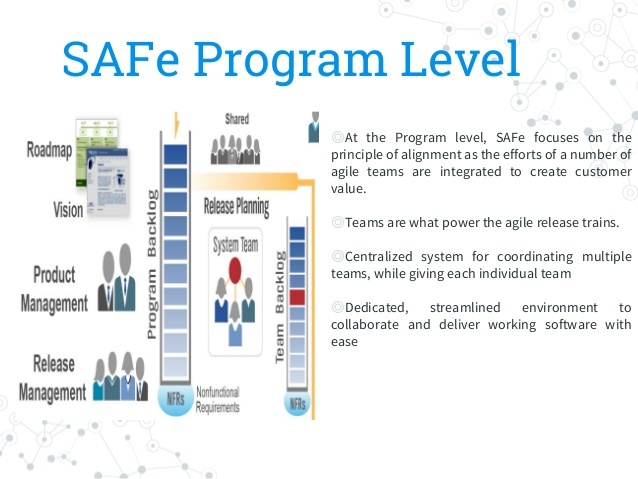 The Program level SAFe provides visibility and objectives of the program. Bi-weekly meetings are held with team scrum masters and RTE. When the train is running together, the architecture and infrastructure is taken care of, and this is done by the trained system architect called the architectural runway so the train can run smoothly and as fast as they can. Each PI serves as a track. From the 5 week iteration of the PI, the last and the 5th iteration is called IP(Innovation and Planning Iteration: Innovation part is the creative time for the team- shipping days or hackathons. Planning part- Maintenance for the train and collaboration and finally estimation and plan for the next PI. 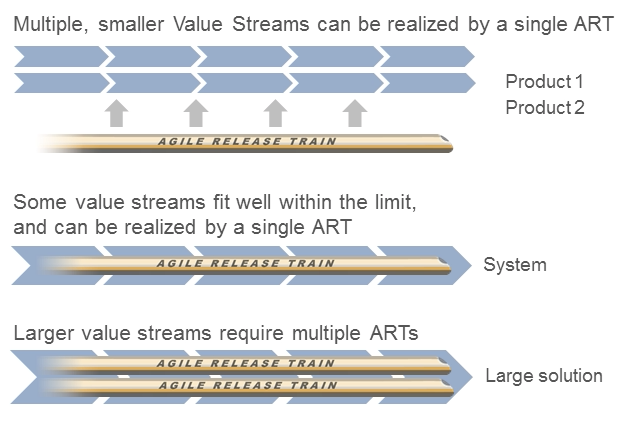 Value Stream can be optional and if it is not used, SAFe3.0 can be implemented. As you see that the SAFe Agile mindset trains leaders, coaches, and the teams to apply lean methods from both Scrum and Kanban frameworks for larger teams to achieve portfolio level objectives and running the programs that require large teams and are complex in nature.